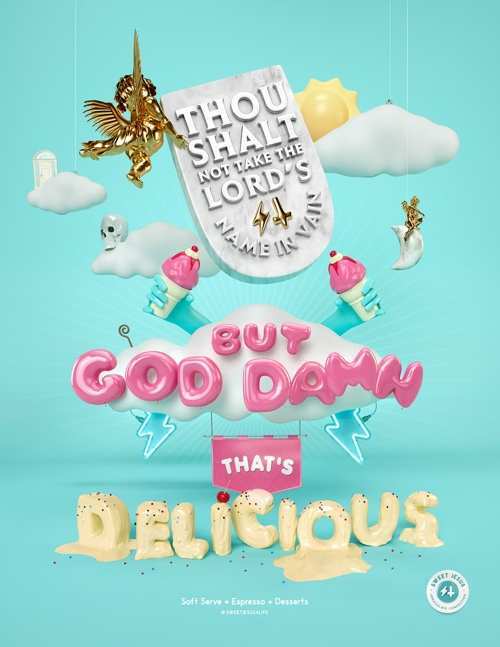 TORONTO, March 23, 2018 (LifeSiteNews) – A Canadian ice-cream chain is about to begin peddling its wares in the United States: soft-serve ice cream topped with loads of blasphemy. The company is called “Sweet Jesus.” It was founded in Toronto by Andrew Richmond and Amin Todai in 2015. The company is part of parent company Monarch & Misfits where Richmond is CEO. There are already 19 locations in Canada, and one at the Baltimore–Washington International Airport. It has plans to open in other U.S. locations, such as Mall of America. Its name and flashy advertisements mock the Christian faith.